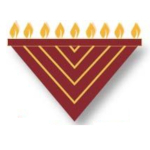 Celebrate Your Simcha at Chabad! ...Special attention given to every detail! Whether it be a Bar/Bat Mitzvah, Bris, Wedding reception or any special occasion we offer a relaxing and elegant environment. Lubavitch on the Palisades provides a variety of different banquet facilities to accommodate your needs. Contact us today and we will make your special event most memorable! » What is the Origin of the Bar Mitzvah celebration? It’s something you dream about your whole life. In your mind, everything is perfect. You are the princess, he is the prince. You are stunning in a shimmering white gown, hair tucked behind a flowing veil. He is handsome and charming, and beams as he awaits you to join him in marriage.